Located in the heart of Don Valley and in very close proximity to the downtown core of Toronto the Evergreen Brickworks is a perfect nature feeling location to take wedding photos. With all of the luxury high end hotels and banquet facilities in the GTA it is a breath of fresh air to have access to a property like this one. Throughout the grounds there are many places to take natural images of couples against greenery backdrops including gardens, parks, trees and flowers, then you can turn around and get a grungy look and an industrial feel all in one place. The variety and creativity we are able to produce for your album at a location like this is not very often matched in this city. 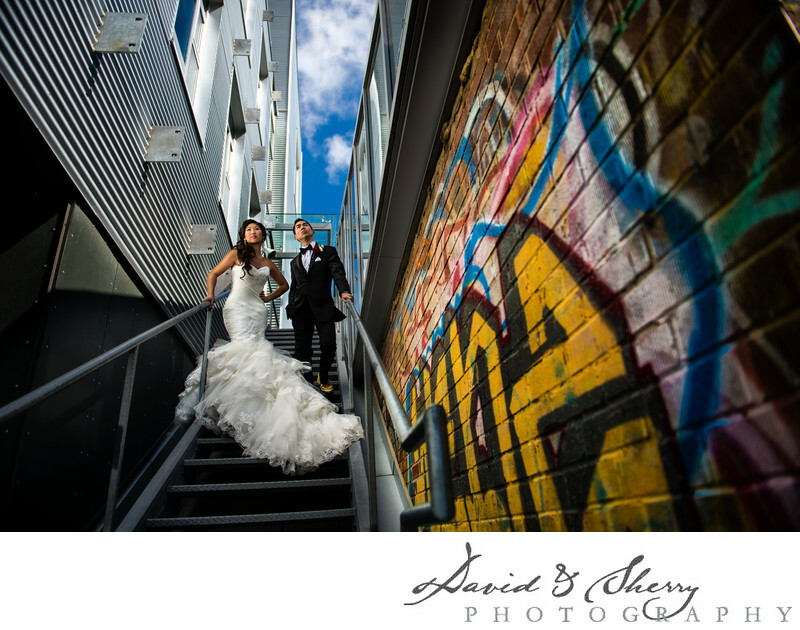 In this photo our couple Andrea and Des are placed on the steps to the third floor of one of the industrial buildings and some beautiful graffiti art has been painted on the wall. The bright yellows contrasted against the blue skies and the stunning detailed dress she is wearing compels me to be drawn into this image. We placed the bride and groom in a very magazine vogue style to give a fashion flair to this architectural and industrial image. This is one of my favourites. The brickworks offers a number of different venues to host your guests including the BMO Atirum, the CRH Gallery and Koerner Gardens, The Pavilions and the Frances and Tim Prince Terrace. 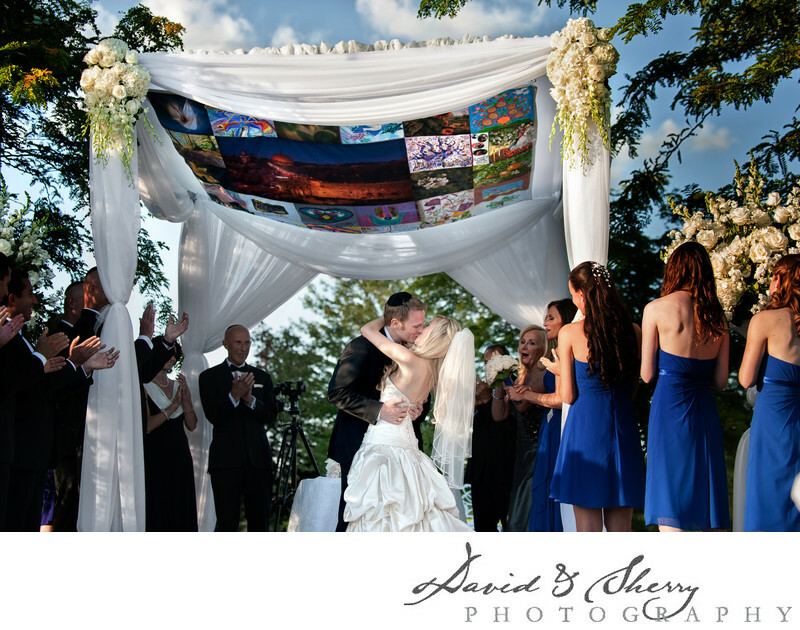 Weddings from 20-400 are capable being hosted on the grounds. Location: 550 Bayview Ave #300, Toronto, ON M4W 3X8.